The Chennai Super Kings are all set to take on the Kolkata Knight Riders at the MA Chidambaram Stadium later today in the evening. The Chennai Super Kings has last played against the Kings XI Punjab and walked away with a 22 run victory. Whereas, the Kolkata Knight Riders crushed the Royal Challengers Bangalore by five wickets. Both teams enter the game after winning their previous games and would surely want to continue their winning streak. Before getting into the live streaming details of the match, let’s check out the head to head record of the two teams. 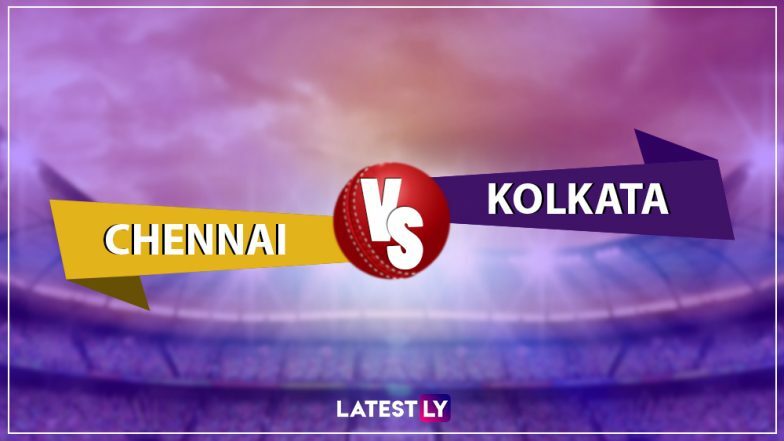 CSK vs KKR, IPL 2019, Chennai Weather & Pitch Report: Here's How the Weather Will Behave for Indian Premier League 12's Match Between Chennai Super Kings and Kolkata Knight Riders. As per the overall head to head record, the Chennai Super Kings outweigh the Kolkata Knight Riders. Out of the 18 times that the two teams have locked horns with each other, Chennai Super Kings have won 11 games and Kolkata Knight Riders have won seven. The team eight games played in Chennai, CSK won six and the remaining were won by KKR. Now, let’s have a look at the live streaming details of the match. Chennai Super Kings vs Kolkata Knight Riders Live Cricket Score 23th T20 Match. The IPL broadcast rights are with Star Sports Network. So, CSK vs KKR IPL 2019 match live telecast will be available on Star Sports 1/HD, Star Sports 1 Hindi/HD. Star Sports Select 1/HD will also provide the live telecast of the match. Apart from these, the CSK vs KKR match live broadcast will be provided on Star Sports Bangla, Star Sports Kannada, Star Sports Tamil and Star Sports Telugu TV channels. With Star Sports owning the broadcast rights, the live streaming of Chennai Super Kings vs Kolkata Knight Riders, IPL 2019 match will be available on Hotstar mobile app and official website. For live score updates CSK vs KKR match, fans can follow that here on LatestLY.